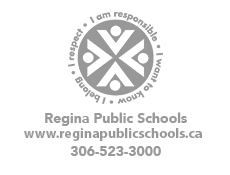 École Massey School has served the southern part of Regina, Saskatchewan since 1960. The surrounding community is attractive with affordable, well-maintained housing in the immediate area of the school. However students come from a broad geographic area from inside the French Immersion École Massey School boundaries and beyond. In the 2011-12 school year Massey became a single track French Immersion school. The enrollment as of September, 2015 is 435 students in Kindergarten to Grade Eight. École Massey School proudly offers a French Immersion program to Kindergarten through Grade 8 students who are interested in learning French as an additional language. Through the French Immersion program, students follow the required courses of study as outlined by the Ministry of Education through immersion in the French language. Formal English Language Arts instruction begins in Grade 3. The goal of the French Immersion program is for students to be functionally bilingual. The following supports are available at the school: Learning Resource, Speech and Language, Teacher Librarian, School Counselor, Occupational Therapist and Psychologist support.